Biographical Summary: Sabrina B. Dieguez received her Bachelor of Arts Degree in Sociology from the University of Florida. She attended law school at St. Thomas University School of Law in Miami, Florida and was admitted to the Florida Bar in 1997. She began working for the law firm of Jack Hunter, Jr. in Cocoa Beach, Florida where she practiced family law. 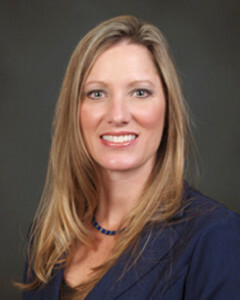 Sabrina then co-founded the law firm of Dieguez & Barker, P.A. where she continued practicing family law for a number of years. Sabrina took a hiatus from the practice of law to raise her two children during their formative years and then took a position with the firm Shuster and Saben, LLC where she practiced in the areas of foreclosure defense, physicians and health care provider law, and civil litigation. She joined Smith & Associates in 2012 and practices general corporate law, health care law, environmental law, and real estate law.